Voting will be held in all of India’s 29 states and seven additional small union territories, with the final results announced on May 23. The prime minister is the head of government and they’re elected by the members of Lok Sabha, the lower house of parliament. He will be challenged by Rahul Gandhi and his party, the Indian National Congress, the main national opposition party which ruled India for most of the period since its independence in 1947. Rahul’s grandmother Indira Gandhi was a long-time Prime Minister, and his grandfather, Jawaharlal Nehru, was the country’s founding Prime Minister. On the other hand, the United Progressive Alliance, led by Rahul Gandhi’s Indian National Congress, consists of more than 25 parties including DMK, Nationalist Congress Party, and Rashtriya Janata Dal. Other regional parties like Samajwadi Party from Uttar Pradesh, Aam Admi Party from Delhi, Trinamool Congress from West Bengal and Bahujan Samaj Party may be crucial in forming a proposed United Opposition Alliance to stop Bharatiya Janata Party’s reelection. In 2014, Modi’s Bharatiya Janata Party relied heavily on social media to clinch a landslide victory. Two years ago, Modi predicted that the battleground of the 2019 elections would be on mobile phones. A recent BBC report suggests that WhatsApp has become a vehicle for misinformation and propaganda in the upcoming election. With over 250 million users, it is India’s most popular messaging platform. 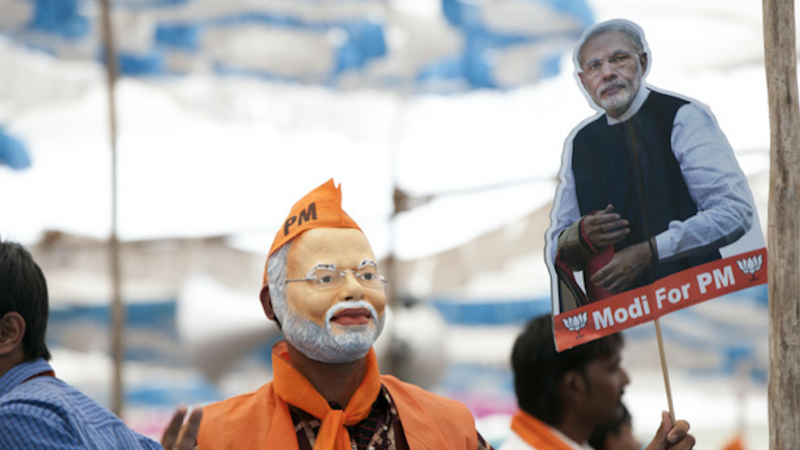 Read: India’s elections are right around the corner — and the fake news problem is not going away.